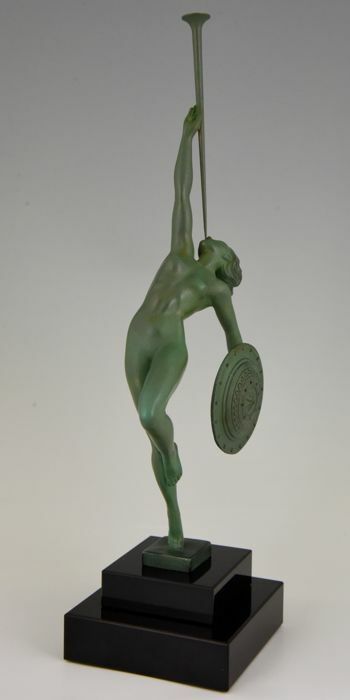 Stylish Art Deco sculpture titled Jericho. 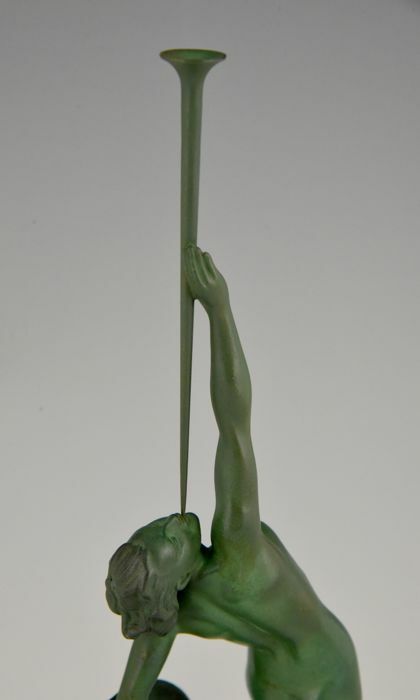 Naked woman with trumpet and shield. Cast in the foundry of Max le Verrier. H. 35 cm x L. 11.5 cm x D 9.5 cm. Raymonde Guerbe was the wife of the artist Pierre Le Faguays. 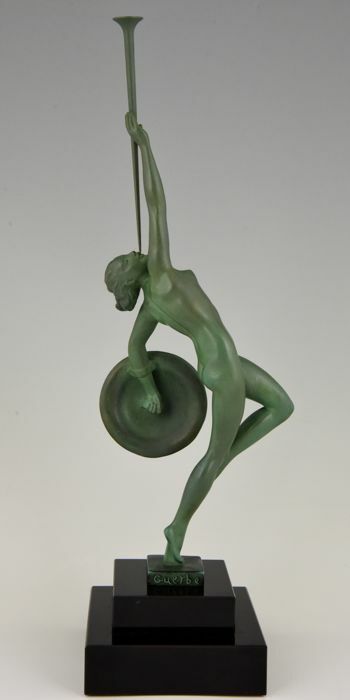 “Statuettes of the Art Deco period” Alberto Shayo. 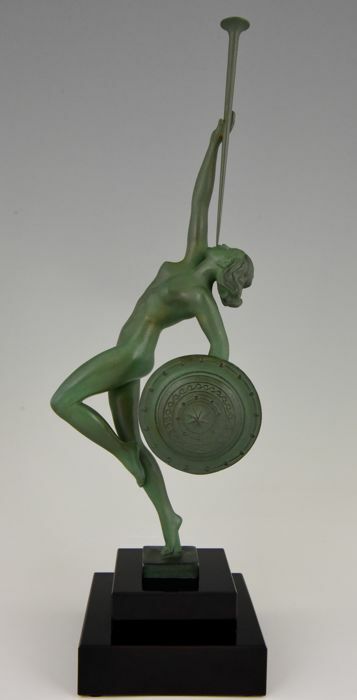 “Bronzes, sculptors and founders” H. Berman, Abage.